Father Of Girl Ticketed For Selling Lemonade Responds To Supporters: 'Make A Stand' : The Two-Way A 5-year-old girl whose sidewalk lemonade stand brought a $195 fine in London has been invited to set up shop elsewhere. Her dad says, "Now she feels less sour about the experience." After a young girl's lemonade stand in east London brought a fine of nearly $200, the local council apologized. Now the girl's family is calling on more kids to open their own stands. A 5-year-old girl whose sidewalk lemonade stand brought a $195 fine in east London has been invited to set up shop at several markets and festivals, as supporters reach out to her family. The ticket was forgiven; now the girl's father is urging more kids to open their own stands. Last weekend, Andre Spicer took his daughter to the end of their street to offer lemonade (50 pence for a small, 1 pound for a large) to people drawn to a music festival in a nearby park. But, as he said in a tweet that day, "She's now sobbing, 'I did a bad thing'" after four Tower Hamlets police officers descended on the stand, issued a fine, and sent them packing. Spicer's tweet didn't bring a response from the local council. But after he wrote a column for The Telegraph, strangers began to praise Spicer and his daughter — and to wonder what was wrong with Tower Hamlets. 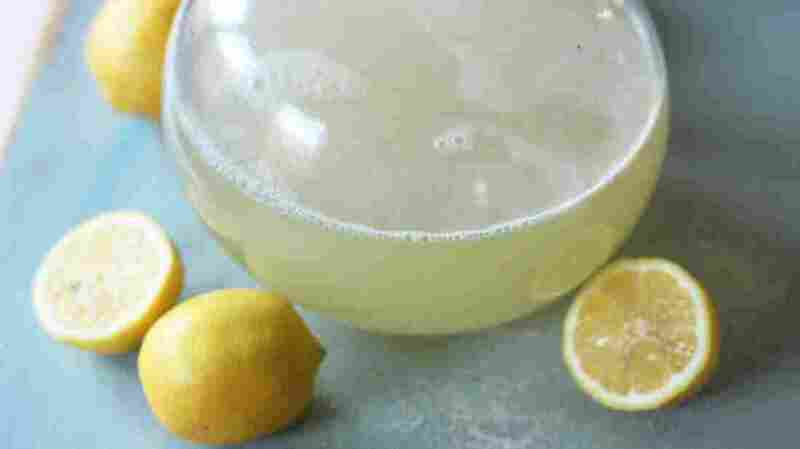 "So, about the lemonade standard incident... we are very sorry that this has happened," Tower Hamlets said in a tweet on the morning after Spicer's column was published. It continued, "We expect our enforcement officers to show common sense, and to use their powers sensibly. This clearly did not happen." The council said the fine "will be cancelled immediately," adding that it had contacted Spicer and his daughter to apologize. Spicer said in an email that his daughter may not realize how widely her story has resonated. He added that due to the positive response, "Now she feels less sour about the experience" — and she might be up for setting up another stand in the neighborhood later this month. "We have been overwhelmed by the kind response from people across the world. Dozens of festivals, markets and businesses have offered us the opportunity to set up a lemonade stand. We hope they will extend this invitation to others who'd love to make a stand." "Children could sell home-made lemonade, hand drawn comics or vegetables they have grown. Young people could do more than sell things, like sharing film or music they've created, or gaining support for their local club." If that sounds like a message influenced by someone who's used to thinking about people and commerce, it should: Spicer is a professor of organizational behavior at the University of London's business school. He's also a critic for the type of behavior his daughter encountered, having written extensively about what he calls "collective stupidity" that sometimes overtakes organizations. In Spicer's column for The Telegraph, he noted the difficulties of giving kids space to pursue real-world activities, particularly in an era of shifting parental norms, competition from electronic gadgets — and an abundance of regulations. Before "Lemonadegate," Spicer said, his daughter had been inspired by seeing kids running their own tables at a school festival. Afterwards, as he said in The Telegraph, he told her they could get a permit, only to hear her reply, "No. It's too scary." Spicer, who's a native of New Zealand, says his daughter's run-in with police has made him contrast the situation with his own childhood, when he and his brother roamed far from home and supported their clubs by selling snacks. Since the episode became a news story, Spicer tells NPR, he's received "many messages from people in the U.S." telling their own stories about children and young people being "harshly shut down by authorities for doing things like selling candy." Stressing the importance of learning through action, the Spicer family's note states, "Making a stand is a great opportunity for kids to share their interests, build confidence and contribute to our communities."